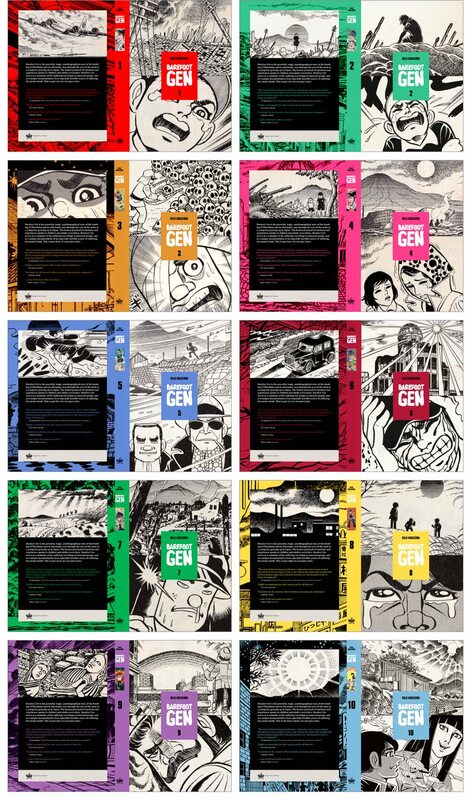 I had the great honor of redesigning the outer sleeves for Last Gasp's 2016 Kickstarter campaign edition of Keiji Nakazawa's "Barefoot Gen". The first four volumes were released in hardcover form to backers, and donated to libraries and schools. Over time, the softcover versions of all ten volumes will be replaced by new editions with my designs.